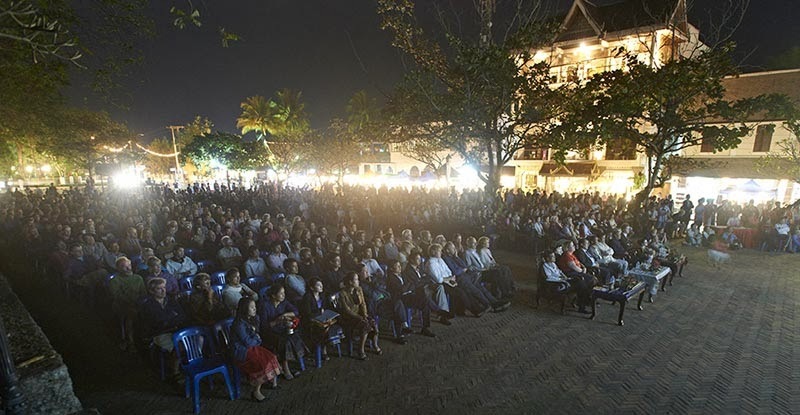 The Luang Prabang Film Festival takes place this weekend in Laos from December 7th to 11th. This annual event is certain to once again attract hundreds to the UN World Heritage City as part of a growing new tradition for the country. The Luang Prabang Film Festival only shows “films from Southeast Asia (Brunei, Cambodia, Indonesia, Laos, Malaysia, Myanmar, the Philippines, Singapore, Thailand, and Vietnam), and from across all genres.” Currently, they are focusing on feature films from these countries, but they also include presentations of short films from Laos and other parts of the region. In the past it has premiered films like Mattie Do’s acclaimed Chanthaly, which has since gone on to presentation at international film festivals around the world, with many enthusiastically hoping for wider theatrical distribution in the near future. The festival is a charitable cultural organization committed to the celebration of Southeast Asian film and to the growth and support of local and regional film industries and filmmakers. To that end, they’ve strived to develop activities throughout the year. Ultimately they hope to create a forum where filmmakers share ideas, trends, and techniques reflecting different national perspectives. Great films start with great ideas, so the organizers work with the community to make exposure to those ideas possible. The Luang Prabang Film Festival also envisions a sustainable industry that can create real jobs for filmmakers both in front of and behind the camera, before, during, and after the filming. This is enabled by building connections that support a regional film industry, and one that’s inclusive. They want to ensure that all perspectives can be represented in the festival and in Southeast Asian cinema as a whole. With over 160 different ethnicities and stakeholders in the borders of Laos alone, that’s a daunting goal, but there would be so many benefits to empower and enable those perspectives. Among the key feature-length Lao entries this year are Red Scarf, I Love Savanh, and Hak Aum Lum, each reflecting different aspects of the Lao experience and giving some insight into what has the attention of Lao film-makers presently. Among the shorts scheduled are Stitching our Stories and Our Lives on Film. The organizers are really building a wonderful tradition. One day, it would be nice if they can expand to include examples of films from other Lao communities abroad. Hopefully it won’t be long before Lao audiences elsewhere can see these films theatrically. There’s a clear benefit to different communities organizing their own film festivals to help the Lao and other Southeast Asian film-makers build audiences for their work, events where the artists have a guaranteed international space for exhibition and constructive exchange. Years from now, it would be amazing if the festival organizers can build enough infrastructure to make Luang Prabang eligible for the prestigious UNESCO Creative Cities Network as a City of Film. Time will tell. Next PostWhat's Cooking with Nana?